An international campaign to combat gender inequality within the electronic dance space. To celebrate they’re offering a once in a lifetime experience for female DJs to have access to top music executives for mentorship and masterclasses in top European cities and Los Angeles. Offering them the opportunity to work with renowned electronic music labelAstralwerks, and a guaranteed performance at one of ID&T’s biggest festivals this summer. Bumble, the women first social connection app with over 43 million users worldwide, announces it is joining forces with a suite of the most reputable platforms in the music industry to challenge and campaign for more females to enter the dance music industry. Their first move is to offer an upcoming female DJ the opportunity to perform at Mysteryland 2019 and to work with renowned electronic music label Astralwerks. The music industry still continues to be heavily male-dominated, there is a 46% pay gap among leading global music businesses and according to research conducted by Pitchfork earlier this year, only 19% of major festival lineups this year were female. The campaign aims to increase this figure by raising awareness and providing an opportunity for women to enter the DJ space. “Making the first move into this incredibly competitive industry is challenging, but certainly rewarding,” says José Woldring, CEO and Founder of The Media Nanny, one of dance music’s foremost Global PR agencies. “Making Moves in Music is about creating more accessibility for upcoming female artists and supporting them along the way with the knowledge, networks and experience of other amazing human beings in this industry”. Bumble was founded upon empowering women to make the first move, in a bid to rewire traditional stereotypes and expected behaviour – and rebalance traditional expectations of gender roles. This campaign hopes to not only raise awareness of the gender imbalance within the industry – but actively and tangibly shift the dial. Whether you’re a producer, or a performer, a single artist or part of a collective – Bumble wants to hear your music. Made possible by Bumble’s partners – ID&T, known for organizing the world’s biggest electronic music festivals such as Mysteryland, Sensation, Tomorrowland and more, will offer the opportunity for the winner to play along an all-star lineup. whilst Astralwerks will provide the winner with A&R, creative, marketing & digital support from their globally recognized label. “Astralwerks is so excited to be partnering with Bumble, ID&T and The Media Nanny to help find and nurture the next era of female DJ’s. Everyone on our team is fully committed to supporting new talent and working with them to present their vision to the world.” says Toby Andrews, General Manager. 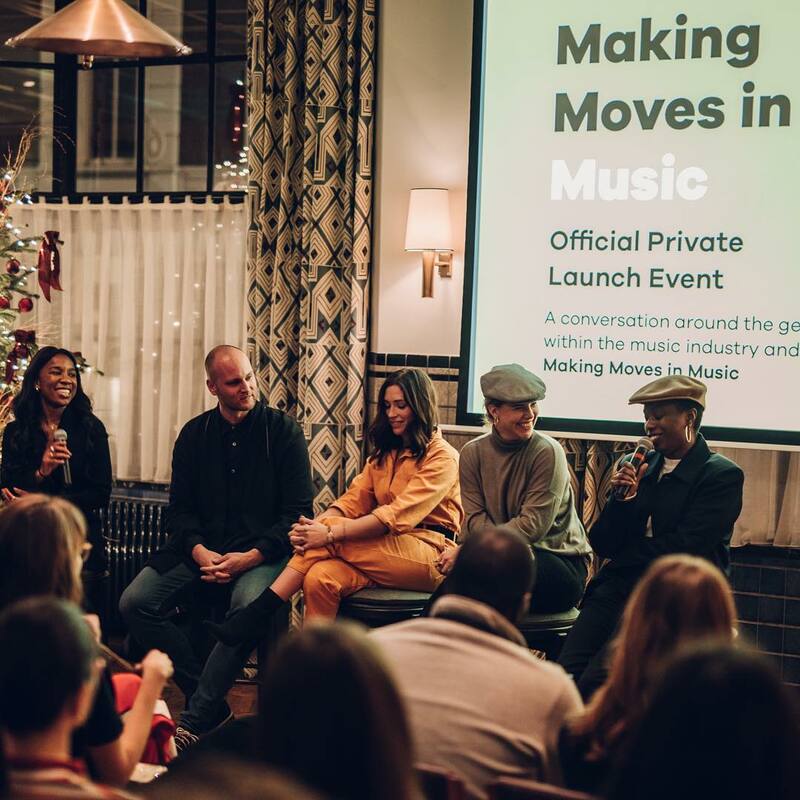 Bumble officially launched in the Netherlands this September and Making Music Moves will be their first official campaign activated within the Dutch market – renowned for being the homeland to electronic music and producing some of the worlds best DJs. The campaign will initially be European focused with an ultimate vision of shifting the gender imbalance seen on our main stages and festivals today. Applications for the initiative will open December 3rd and more information can be found by following Bumble Netherlands on Instagram @bumble_netherlands.